I have decided to join in with Annie's Monthly Make for 2012 over at The Felt Fairy. The idea is to commit to make one thing a month and then share it with everyone else, on your blog and in the Flickr Group. 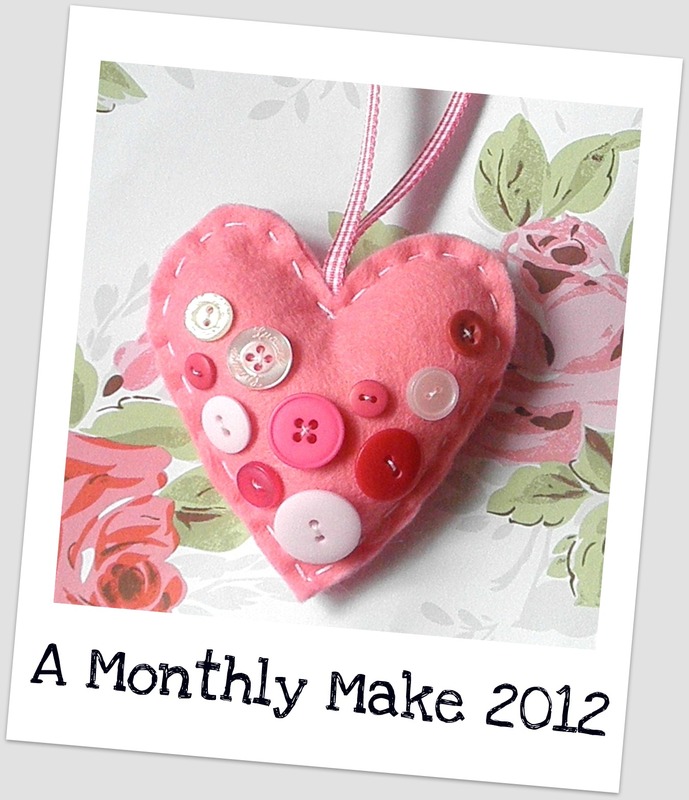 My aim is to use this commitment to "Monthly Make" to make something small, maybe something I would not normally make. In the last 5 -6 months I have enjoyed the smaller things that I have made in between the larger projects so for me I have found this at just the right time. Enjoy your Christmas Eve and have a fantastic Day tomorrow. Count me in,it's a great fun idea.have a lovely day tomorrow. You're always busy with new projects !!! I hope you had a merry Christmas with all your family ! Have joined up...I love to make little projects to brake up making a big quilt.